Plot - A cab driver sets out on a journey across the Australian wilderness to euthanize himself after being told by doctors that he doesn’t have long to live. Rex, a cab driver from the New South Wales has been diagnosed with an incurable disease and doesn’t have long to live. Determined to end his life on his terms, he sets out on an epic journey across the continent to Darwin, Northern Territory to euthanize himself. On his way, he encounters various experiences and meets people along that way which make him rethink his decision. 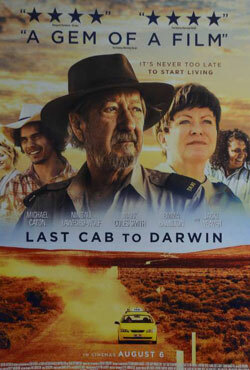 Awards & Nominations Won by "Last Cab to Darwin Movie"
Box Office Earning of "Last Cab to Darwin"